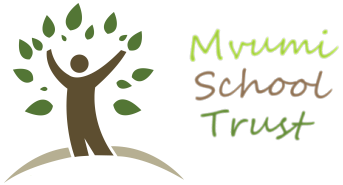 This Data Privacy Notice sets out how Mvumi School Trust (Registered Charity No.1075112) uses and protects any information that you give Mvumi School Trust when you use this website. Mvumi School Trust is committed to ensuring that your privacy is protected. Should we ask you to provide certain information by which you can be identified when using this website, then you can be assured that it will only be used in accordance with this Data Privacy Notice. Mvumi School Trust may update the Data Privacy Notice as required. We suggest you check this page from time to time to ensure that you are happy with any changes. This Data Privacy Notice was updated May 3 2018. The Mvumi School Trust is the data controller (contact details below). This means it decides how your personal data is processed and for what purposes. The Mvumi School Trust complies with its obligations under the “GDPR” by keeping personal data up to date; by storing and destroying it securely; by not collecting or retaining excessive amounts of data; by protecting personal data from loss, misuse, unauthorised access and disclosure and by ensuring that appropriate technical measures are in place to protect personal data. We are legally obliged to retain Gift Aid documentation for 6 years from the last donation. We rely upon your explicit consent so that we can keep you informed about news, events, activities and services and process your gift aid donations and keep you informed about diocesan events. Some processing is necessary for carrying out legal obligations under employment, social security or social protection law. Your personal data will be treated as strictly confidential and will only be shared with trustees and accredited Trust Representatives in order to carry out our charitable purposes. We will only share your data with third parties with your consent. We keep data for purposes of communication news about Mvumi, news about your sponsored students, if you have one, and seeking funding for this charity and for sponsorship of Mvumi students or leavers. Specifically, gift aid declarations and associated paperwork for up to 6 years after the calendar year to which they relate. The right to withdraw your consent to the processing at any time subject only to processing required by law.